A review and description of synchronization problems that occur in communication systems based on OFDM (orthogonal frequency division multiplexing) are presented. Solutions for symbol, frame, and frequency synchronization are covered. An account is given and results are presented of the simulation of devices for the estimation of the channel parameters. 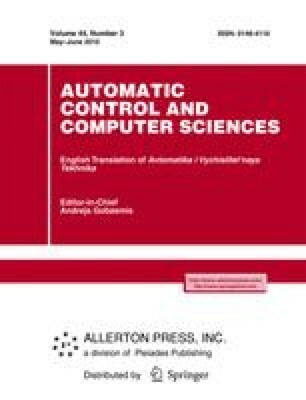 Results on the simulation of communication systems employing different methods for synchronization and estimation of the channel parameters are presented. A review of the influence of additive noise, multipath propagation, and Rayleigh fading on the synchronization is given. Original Russian Text © A.I. Aboltins, D.I. Klavins, 2010, published in Avtomatika i Vychislitel’naya Tekhnika, 2010, No. 3, pp. 59–71.